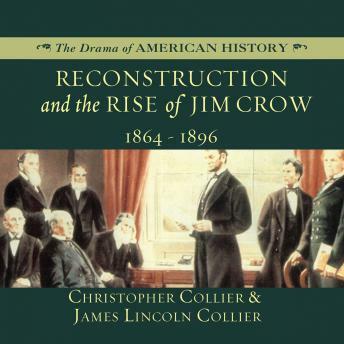 Reconstruction and Rise of Jim Crow describes the fallout of the Civil War, whose aftermath left the United States South angry and poor. This book details the struggles to decide how to deal with the newly freed slaves, through the years of Reconstruction, Jim Crow, sharecropping, and segregation. The story line also sets the stage for the country’s next battle, which is between the Jim Crow laws and the Fourteenth and Fifteenth Amendments.